Elizabeth and I started the For the Love of Soilds [a modern swap] last month and there have been some great projects popping up in the flickr group! So as any proud swap mama would, I thought I would share some with you all. Oh I love the green solid quilt No.2 - absolutely gorgeous! 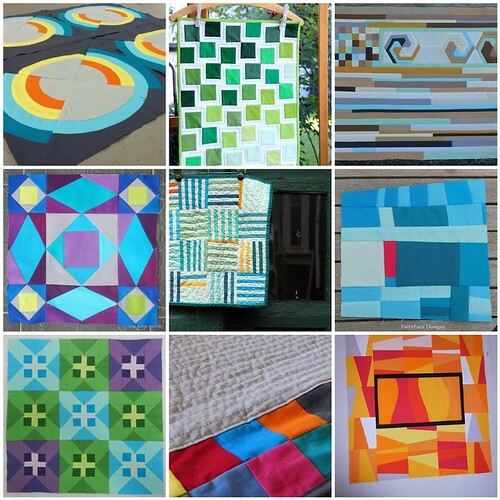 Also love the orange and yellow quilt No.9. What a wonderful swap! Thanks for including my block Megan!! Looking good - thanks for including my item too Megan!